So I thought I would come back home from Europe with my mind booming with ideas for food, which it was, but the pathway to getting to a finished product was slightly dulled. I wanted to do one more recipe for Thanksgiving but I couldn’t think of anything that I actually wanted to do. My girlfriend Matti insisted (she didn’t really give me a yes or no option) that I do green bean casserole, one of her very favorites. If you know me well then you know I had to fancy it up just a bit with some crispy shallots. Which in reality isn’t necessarily “fancying” it up at all since a lot of people just use those pre made “french” onions. Instead I think I might consider it upping it’s quality. Because friends don’t let friends use pre made onions and canned soup in their food. So this recipe is completely gluten free, grain free, vegan, Paleo, and dairy free so I’m hoping no one will need to ask for substitutions for anything in this recipe at all because I’m pretty sure I’ve got you covered. I really wanted to add bacon to this but I decided against it because I’m going to have this on my Thanksgiving table and I already have bacon roasted brussels sprouts there. There’s nothing wrong with bacon everything, I just like a nice variety. I actually fell in love with crispy shallots at Momofuku Ssam Bar when I ordered their duck. It came with an assortment of toppings including a coupe different sauces, but off in the shimmering distance was the bowl of crispy shallots. To say the least, I could have eaten them alone with nothing else. 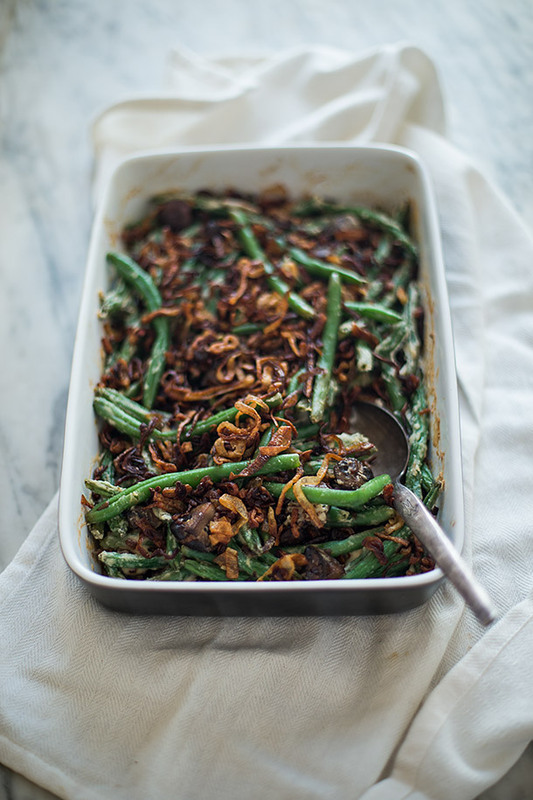 So what better way to put the power of crispy shallots to work than with a casserole? 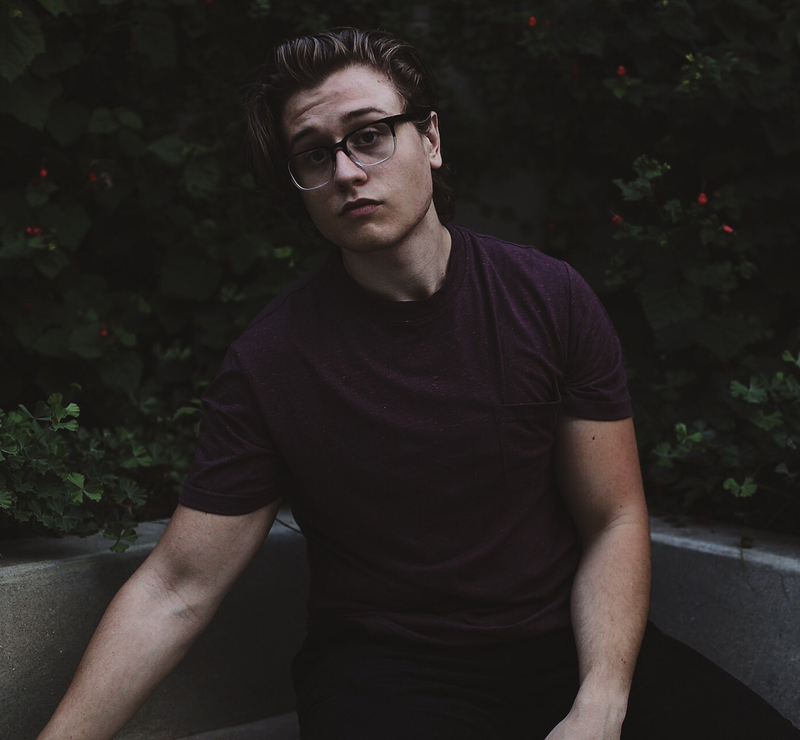 Now that I’ve made this recipe I feel back into the game for some reason so I’m happy the flow is starting to come back to me. Now It’s time to conquer Thanksgiving. So Paleos and Vegans, eat your green bean casserole, enjoy your Thanksgiving, and above all cook it yourself that way you can show off those epic cooking skills you’ve got to your family. 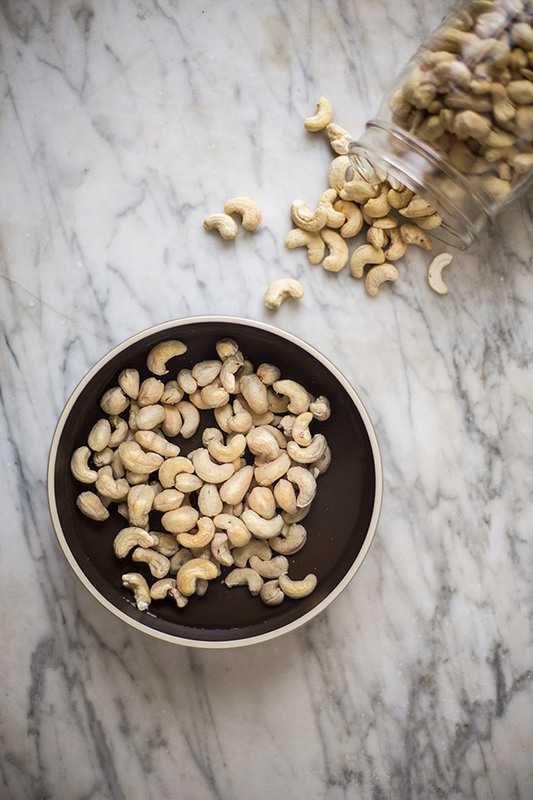 Place the cashews in a medium sized bowl and fill with filtered water so that the cashews are completely submerged and let soak for 30 mins and up to overnight. Drain the soaked cashews in a mesh sieve and thoroughly rinse. Place the soaked cashews in high speed blender or food processor along with ½ cup filtered water, lemon juice, and salt. Blend or process until smooth. In a large cast iron skillet add ¼ cup of the coconut oil, lard, or ghee, and heat to medium low heat. Add half of the sliced shallots in an even layer as not to overcrowd the skillet, and shallow fry stirring often until they begin to turn a deep golden brown (about 10 minutes). Then remove and place on paper towels and season with salt. Repeat this step one more time with the remaining shallots, and add more cooking fat so that it is equal to the amount you began with if need be. 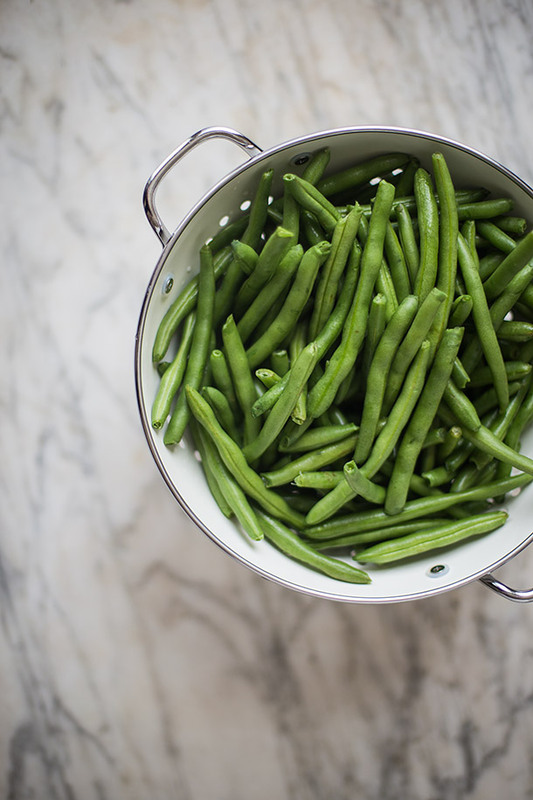 In a steamer basked steam the green beans for 5 minutes then place in a large bowl. In the same skillet you made the crispy shallots in add 2 tablespoons of coconut oil or butter and heat to medium heat. Add the garlic and sauté for a couple seconds and then add the mushrooms, sauté for 6-7 minutes or until they have shrunken and are cooked. Add the cooked mushrooms to the same bowl as the green beans, along with ¼ of the crispy shallots, cashew cream, and season with salt and pepper to taste. Pour the green bean casserole mix into a baking dish and pat down so it's evenly spread across it. Add the chicken stock and place in the oven for 30 minutes. In the last 3 minutes add the crispy shallots on top. Asparagus would be wonderful for this too, what a great idea! 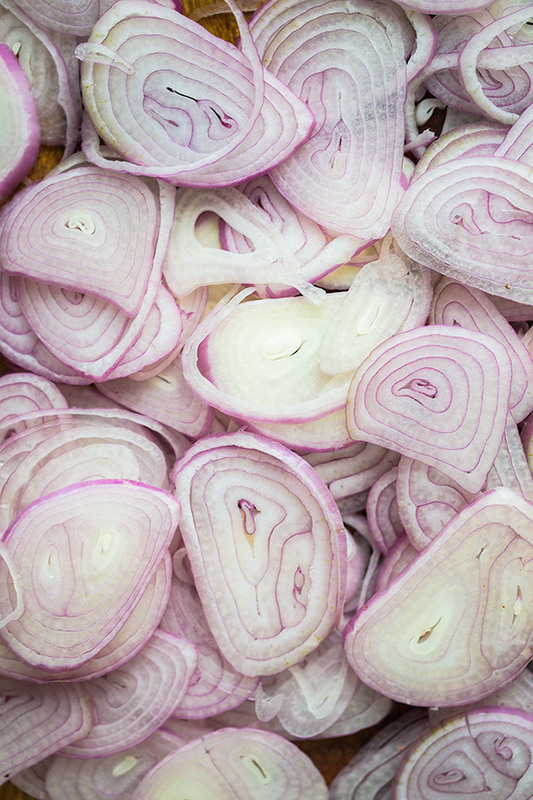 One photo in this post looks like sliced purple onion as apposed to shallots – I’m guessing these were purple shallots, photographed up-close and personal? How do you think this recipe would work using sweet onions instead of shallots? I used regular shallots which are a slight pinkish purple. I’m not sure weather it would work with sweet onions or not but I have a good feeling it would. My shallow fry method is for shallots specifically because they have a higher sugar content so the caramelization eventually results in a crispy by product. Which in theory if sweet onions have a higher sugar content they should work as well but they might take longer and you would need to use significantly less because they are far larger than shallots. Maybe something like 2 of them. Good luck! 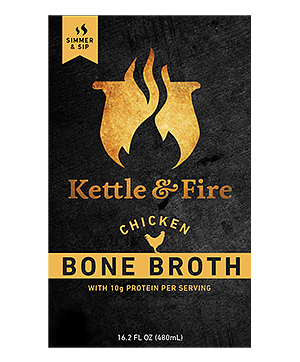 This looks great Joshua – the fact that it’s vegan and gluten free just seals the deal! I just posted sesame roasted Brussels sprouts with crispy shallots… great minds! I love crispy shallots and have been making them for years, but I don’t think I could ever get sick of them! They would be amazing with green beans – I love that you used cashews in the sauce. Love the photos too! I love this beautiful recipe! Sharing it in my meal plan and via social media! 🙂 What a gorgeous and delicious dish! 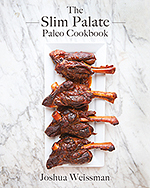 Thanks for posting this recipe and pointing out that legumes are in fact paleo. I’ve covered this on my blog as well. * What temperature to set the oven at? I’m guessing 350? * 1.5 cups green beans.. is that 1.5 pounds? * 8 oz mushrooms – again, wondering if that should be a cup by measurement or half a pound by weight? 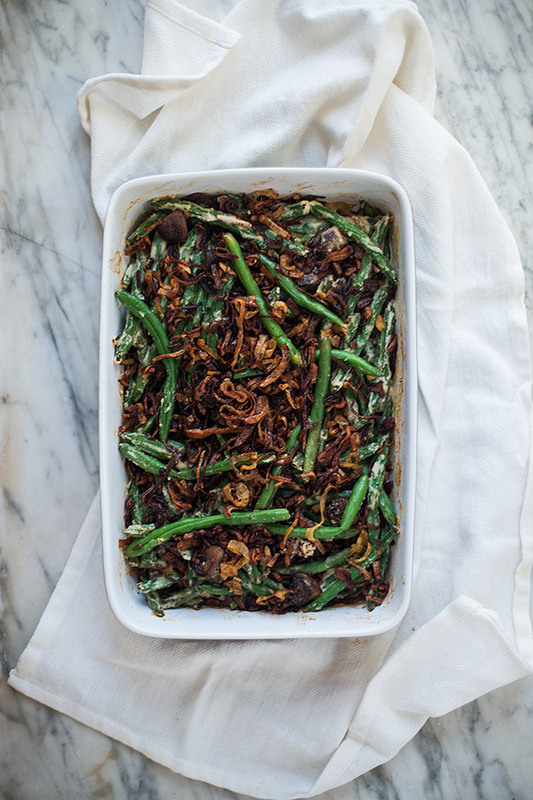 Is this a recipe that could be made ahead of time and then finished in the oven on Tgiving (aside from the crispy shallot topping, of course)? Yes, you absolutely can do that!